Marbella is one of Spain’s most popular destinations, its appeal is easy to understand. It's also a beach lover's paradise. There are a staggering 23 beaches along its 27kms of coastline. 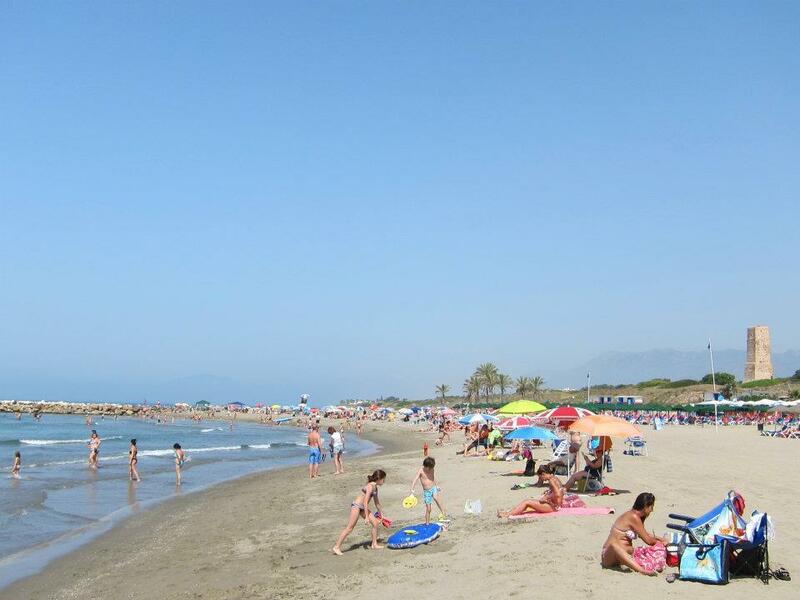 Marbella's beaches have been awarded a total of six Blue Flags in 2015, one less than in 2014. The Puerto Deportivo Virgen del Carmen's marina was also given a Blue Flag, bringing Marbella's total to seven. No other coastal town in the province of Andalucia has more, although Marbella now shares it's first place position with Roquetas de Mar (Almería) and Rota (Cádiz). The first time in three years. What makes Marbella’s beaches so special? Blue flags aside - what are the best beaches to visit when holidaying in Marbella? Everyone has their favourites, here are ten of ours. For convenience purposes, the beaches have been listed by the ones that are east of Marbella's city centre, followed by the ones that are west of the centre. 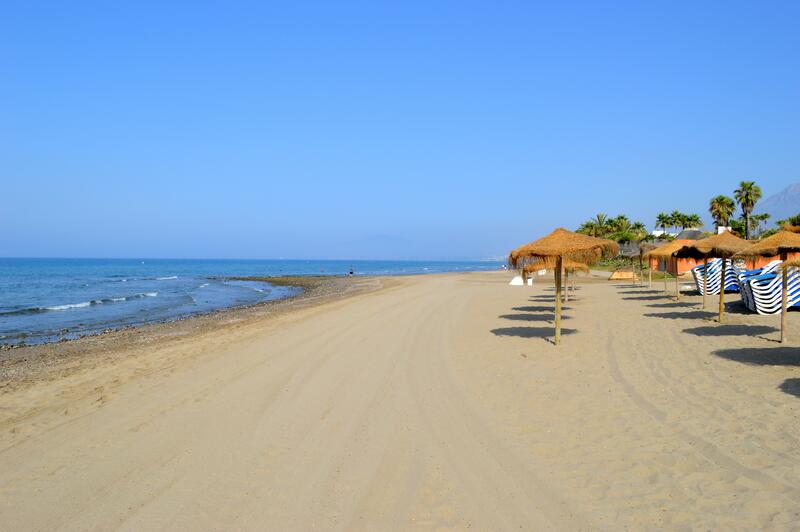 All the beaches fall within a 20kms radius from Marbella's centre. One of the youngest and coolest places to be on the Costa del Sol. 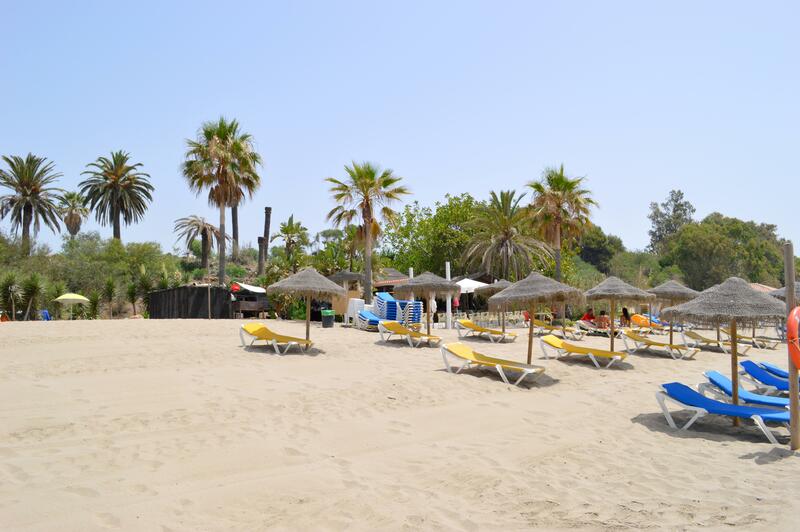 If you are looking for a good beach near the centre of Marbella, chilled out music, a relaxed atmosphere and reasonable prices - look no further. 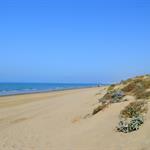 Five minutes away from Bounty beach you have the beautiful Playa de Rio Real. Situated right at the beginning of Los Monteros and part of the same extension of beach as Alicate and Costabella. Its another fantastic beach right on Marbella's doorstep. 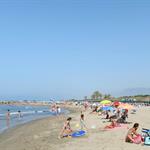 Playa de Alicate is one of Marbella's most popular beaches. Long, sandy beaches and all the amenities you could hope for. Alicate beach is a popular choice for residents and holidaymakers alike. Going eastwards a couple of kilometres - just off the El Rosario exit you have a beach that really lives up to its name - Playa Hermosa. Playa Real de Zaragoza is quite simply a gem. Fine, golden sand, clean waters and some fantastic chiringuitos - what more could you ask for? Nikki beach needs very little introduction. Known throughout the World for its prestige, its parties and high rollers. An increasingly popular place to be and understandably so. Cabopino beach borders the picturesque Cabopino port and the protected Las Dunas de Artola natural park - you couldn't hope for a better place to spend the day. The nicest of Marbella's inner city beaches. Playa de la Fontanilla is within easy walking distance from the centre of Marbella and is a popular destination for those looking to soak up some Spanish sun. They don't come much more exclusive than Playa Nagüeles. 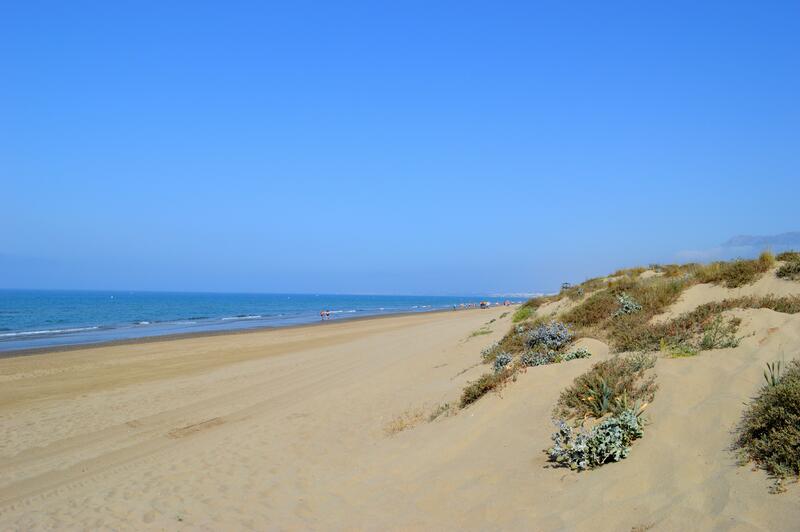 Situated on Marbella's Golden Mile, Playa de Nagueles is somewhere that needs to be seen. Starting from Puerto Banus's exclusive Marina and running westwards are the beaches of Nueva Andalucia. Offering a very different feel than the ones closer to Marbella. They are most definitely high on anyone's 'best beach' list. We would like to thank our home-owners and friends who helped us compile this ‘Top ten beaches in Marbella list’ - in particular Marbella Family Fun - without your help and insider tips this list would not have been possible. Marbella is known the world over for its glamour, its prestige and its beautiful beaches. A firm favourite with those in the know - Bounty beach is just east of Marbella's city centre - next to the Marbella arch. The most exclusive beach in Marbella is Playa Nagüeles. One of Marbella's more popular urban beaches. 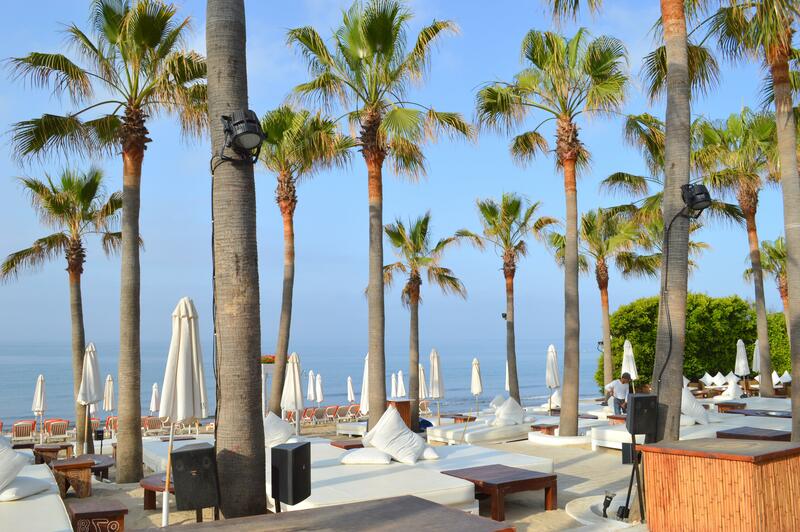 Suite del Mar is one of Marbella's most renowned beach clubs.